Weed eaters, also known as string trimmers, are essential lawn maintenance tools which play a vital role in tidying your garden. 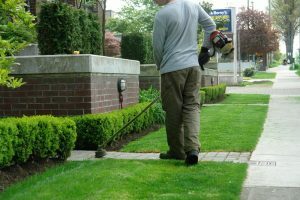 Unlike lawn mowers, weed eaters have the capacity to tidy difficult areas, such as around trees and beneath bushes, that mowers can’t reach. These tools are lightweight and easy to manage, giving you a fast trimming experience. There are two different types of weed eaters: gas-powered and electric weed eaters. Each of these tools uses a different mechanism to carry out its task. While gas-powered trimmers rely on the combustion of gasoline and air, electric weed eaters rely on electricity. To divide them even further, electric weed eaters can either be corded or cordless. With that in mind, this article will review some of the best electric weed eaters for women. The WORX WG175 MAX Cordless Trimmer has taken the trimming experience to a whole new level. 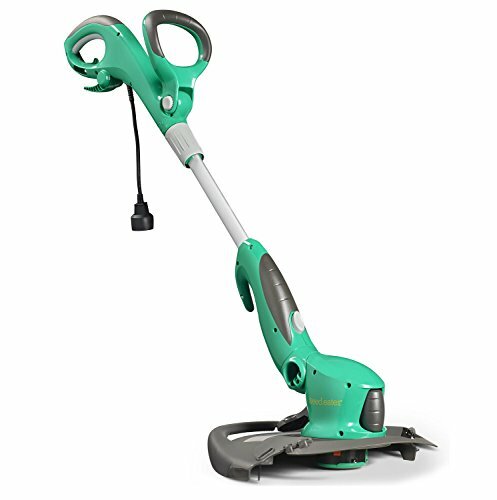 Designed for women who enjoy trimming, mowing and edging their gardens, this tool has a 32-V Li-Ion battery which lasts for a very long time without needing to be recharged. The WORX WG175 MAX Cordless Trimmer is multi-purpose and can work as a trimmer, an edger or a mini-mower. It has two wheels at the bottom, which assist when trimming round trees, corners and beneath bushes. To suit both tall and short women, the WORX WG175 has a quick release trigger lever which helps you adjust the height to increase comfort. This trimmer is designed with a powerful 32-V Li-Ion battery which runs for a maximum of 35 minutes in low-speed mode. With 12 inch cutting diameter, 3-in-1 functionality and a light weight of 6 pounds, the WORX WG175 MAX Cordless Trimmer is the perfect addition to your garden store this season. With a weight of 6 pounds, this trimmer is very light compared to most of its alternatives in the market. The 32-V Lithium battery lasts for a very long time, with a maximum recharging time of 3 hours. 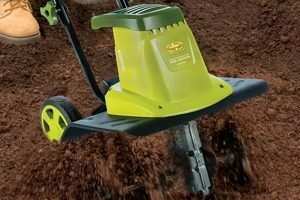 The double wheels provide balance to the trimmer, giving you a tireless experience when trimming underneath bushes. This trimmer is multi-purpose and can be used as a trimmer, an edger and a mini-mower. This trimmer doesn’t have enough power to cut down tall Bermuda grass and weeds. Although the battery is classic, it’s very hard to find a similar one on the market. All in all, the WORX WG175 MAX Cordless Trimmer is the perfect choice for women looking for a quality tool to maintain their gardens. 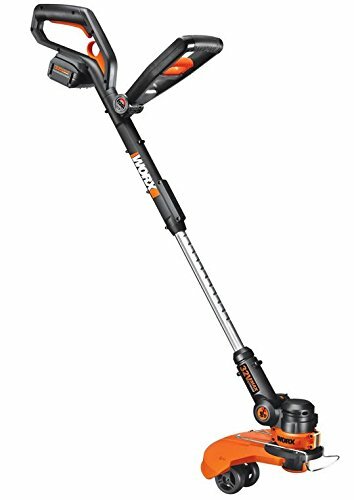 Designed with powerful features such as: a lasting 32-V Li-Ion battery, 3 in 1 functionality, double wheels and adjustable shaft, this trimmer has been welcomed with a 4.3 star rating from 376 customers. The GreenWorks 21142 10 Amp String Trimmer is among the lightest trimmers on the market, weighing just 9.9 pounds. What makes it so perfect is the ability to allow multiple attachments. It has a dual construction of plastic and aluminum housing to increase durability. Among the smart features which come with this unit are: a dual cutting line, an adjustable handle, an 18 inch cutting path and a safety switch to prevent any harm. With the advantage of a gas attachment, the GreenWorks 21142 10 Amp String Trimmer can work as a gas-powered trimmer for those women who don’t enjoy working with electric cords. This trimmer is designed with two trim lines which makes the machine more powerful when operating. The handle is adjustable, making it ideal for both tall and short users. The frame is made out of plastic and aluminum, thus increasing durability. This weed eater can function both as an electric unit and a gas-powered trimmer. Although the shaft is adjustable, it’s pretty short making it ideal for shorter people. The cord is short, thus limiting your freedom of movement throughout the garden. 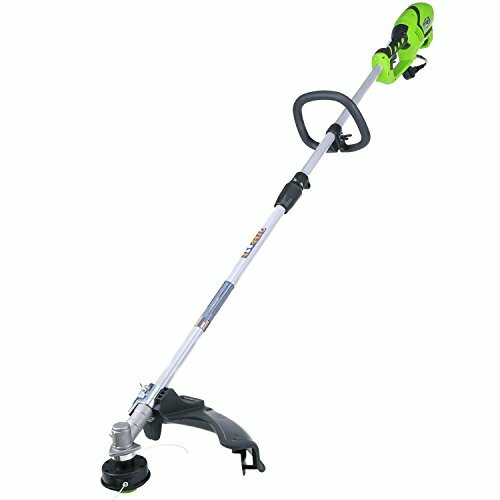 Although the GreenWorks 21142 10 Amp String Trimmer is unable to compete with most gas-powered trimmers, its overall performance makes it perfect for doing light jobs, such as trimming short grass and weeds. The best thing about this tool is that it’s light, thus making it ideal for women and is available for a cheap price. The Weed Eater Electric Corded is a new model of the trimmer, usable around the yard. Available in a Twist-N-Edge design, this tool can convert from a trimmer to an edger with just a push of a button. Women who have used this classy trimmer have praised its design, easy-to-assemble features and the ability to trim difficult areas, such as beneath bushes and round trees, within a fraction of time it normally takes. The Twist-N-Edge trimmer is remarkably light and converting it from a trimmer to an edger is just a button away. It has a cutting path of 14 inches, a powerful 4.2 amp motor and a comfortable grip handle for easy usage. This trimmer has a lot of issues with the string. Some customers state that its short while others state that it doesn’t auto feed. All in all, the Weed Eater 14 in. is a new model which gets the job done, fast and easy. With smart features which include: a Twist-N-Edge capability, 4.2 amp motor this is the perfect trimmer for women looking to improve their gardens. 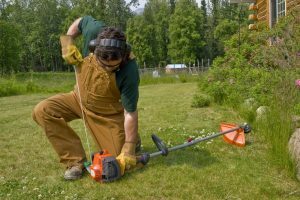 After in-depth reviews of each of these weed eaters for women, the WORX WG175 MAX Cordless Trimmer was the best in the category. This cordless weed eater has a powerful Li-Ion battery which lasts for a maximum 30 minutes without needing a recharge. It has the ability to perform as a mini mower, an edger or a trimmer, at just a push of a button. It has a short adjustable shaft, which fits both tall and short users without straining their back. Available in the market at an affordable price, this weed eater is light and best suited for women who enjoy trimming. Second, we reviewed the GreenWorks 21142 10 Amp String Trimmer. With a very light weight, this trimmer can perform various tasks in your garden due to its ability to accommodate multiple attachments. It has a dual construction of plastic and aluminum housing’ to increase durability. The smart features which come with this unit include: a dual cutting line, an adjustable handle, an 18 inch cutting path and a safety switch to prevent any harm. Last but not least, we reviewed the Weed Eater 14 in. 4.2 Amp String Trimmer. Available in a Twist-N-Edge design, this trimmer can take multiple attachments as well as function as both a trimmer and an edger. It’s easy to assemble and is among the best trimmers for women, capable of tidying short bushes, beneath the flowers and round trees. This Electric Corded weed eater has a powerful 4.2 amp motor and is available at a cheap price.